What is a WLMP file? Can I convert WLMP to MP4 or other formats? WLMP is an acronym for Windows Live Movie Make Project. This is a project file saved from movie making project in Microsoft’s Windows Live Movie Maker, a free movie maker which is a component of Windows Essentials. However, WLMP is actually not a video file and cannot be opened or played. To overcome this problem, you will have to convert WLMP to MP4 to play on other device. Fortunately, there are a number of converters both desktop and online capable of converting WLMP files to MP4 or other formats with ease. Choose the best tool and experience the best services. To saving or export WLMP files to other formats using Windows Live Movie Maker is easy. Here is a guide on how to go ahead. Step 1. Open WLMP file. 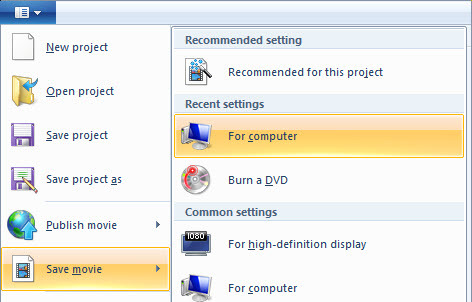 On your Windows Movie Maker program, go to "File" and click "Open project" to open your file. Step 2. Export WLMP file. Next, click on the "File" button then tap "Save movie" to save your file on your computer. From the window that appears, choose a file name for your video then below it select WMV file or MP4 file format. Finally, click on ‘Save’ button and Windows Movie Maker will automatically save your video to WMV or mp4 format. The WLMP file is not a video file so you can't convert WLMP to MP4 with a regular video converter. You have to open it with the software that created WLMP files - Windows (Live) Movie Maker. Generally, you can simply export WLMP to MP4 with Windows (Live) Movie Maker. But if can't find the option, or you want to convert WLMP files to other formats besides MP4, get a common video converter that supported WMV format. Here I humbly recommend iSkysoft Video Converter Ultimate, which can convert WLMP WMV to MP4 or almost any format you desire on Windows 10/8/7/XP/Vista or macOS 10.14 Mojave and earlier. Versatile Converter – Apart from converting WLMP to MP4, it converts more than 150 video and audio formats with original quality maintained at 90X faster speed. Enhance video – Add special effects to your videos before conversion, or crop/trim/rotate, add subtitles, watermarks, one click enhance, etc. Convert Online Video – Download online videos from 1,000+ video sharing sites such as YouTube, Vevo, Vimeo, Metacafe, Break, Netflix, etc. Transfer to Devices – Transfer converted or downloaded video to mobile devices like iPhone, iPad, Samsung or other Android devices with USB. Handy Toolbox – Use interesting tools like GIF maker, video recorder, VR converter, video compressor, etc. 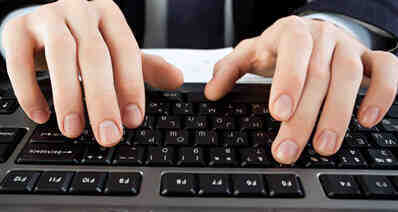 to better improve your converting experience. Please make sure you have downloaded and installed iSkysoft software on your Windows PC or Mac. Here we show the guide with in Windows. Mac Users can do it same on Mac. Now let's begin. Launch Windows (Live) Movie Maker from the "Start" Menu and go to "File" > "Open Project" to open your WLMP file. Then head to "File" > "Save Movie" category to choose "WMV" as the output format. After downloaded and installed iSkysoft WLMP to MP4 converter, launch it and import the WMV files to the program. You can add the WMV files by dragging and dropping them to the main window of the program, or click the "Add Files" button to import from your Windows PC. More than 150 formats are supported by this WMLP to MP4 video converter. To choose the output format, click the output format tray on the right and then go to "Video" tab to select your wanted format, such as MP4, MOV, AVI, etc. If you want to change the codec, resolution, frame rate and other settings, click the "Settings" icon beside. By the way, if your source video is encoded in H.264, this software can convert the video to MP4 format without any quality loss on the condition that you won't change any encode settings (directly choose "Same as source"). Next, click the "Convert" button in the display bar or "Convert All" button at bottom right, and all the added videos will be converted to MP4 format or other formats you've selected. 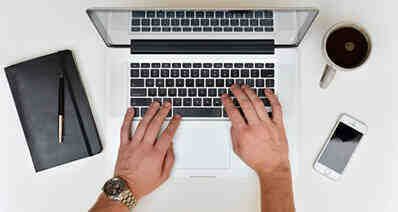 In minutes, there will be a message showing up at the bottom right corner of your computer. It means you're done and you can use the video anywhere you want. Apart from using Windows Movie Maker to convert WLMP files to mp4 format, you can also convert them online using online tools. There are several online tools to convert WLMP files to other formats. One of the online MP4 converter that you can use is Online-Convert.com. Very few steps are involved in converting the WLMPfile to MP4 format using online converters. The steps are as below. Step 1. 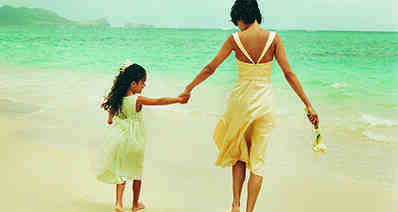 Go to Online-Convert.com website on your browser. Step 2. You need to upload your WLMP file to be converted, click the Upload/ Select button or enter a link to the file you want to convert. You may also select your WLMP file from your cloud storage. Step 3. Next you can opt to adjust the output settings of your file such as bitrate and quality. Step 4. Lastly, click on the Convert button to convert your file to MP4 format. Within few minutes, the online converter will complete and your file will be converted to mp4 format. WLMP is a project file created with Windows Live Movie Maker, which was later dropped the Live part and became Windows Movie Maker (totally different from the previous Windows Movie Maker) on 2012 Windows 7 and Windows 8. Want to convert WLMP to MP4 or other video formats? Check this article to learn more. See the questions and answers below to learn more about WLMP conversion. You can also ask your own question in the comments. Where to download Windows Movie Maker? Windows Movie Maker (2012) is part of Windows Essentials suite. If it isn't included in your Windows 7 or Windows 8 system, download it here. While installing, select Movie Maker only or other items like Photo Gallery, Messenger, Writer, etc. Can I play WLMP with Windows Media Player? No, you should convert WLMP to WMV video before playing with Windows Media Player. Can I upload WLMP files to YouTube? As I described at the beginning, WLMP is actually not a video file so you can upload it to YouTube. 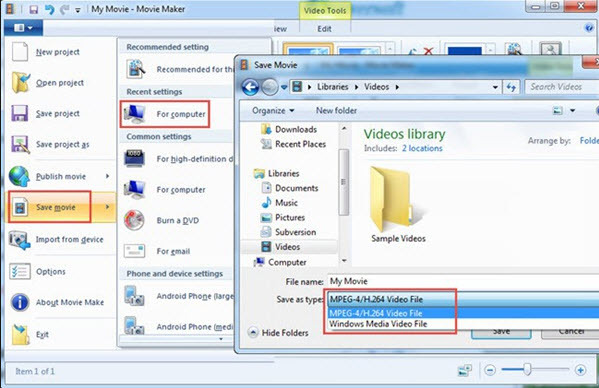 To share your WLMP movie, simply open your WLMP file with Windows Live Movie Maker, and then you're able to share your movie on YouTube right from the program. Alternatively, you can export WLMP to a video file that is supported by YouTube and then upload separately.